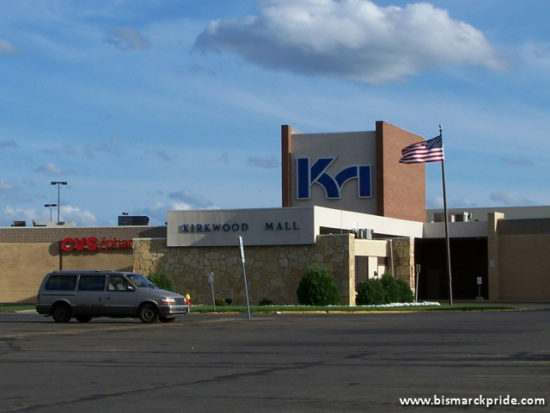 Kirkwood Plaza Shopping Center, known today as Kirkwood Mall, is an enclosed regional shopping center in Bismarck that features more than 90 tenants, including four (as of 2018) full-line anchors: Target, Scheels Sporting Goods, JCPenney, and I. Keating Furniture. The fifth anchor space was vacated by Herberger’s in August 2018. 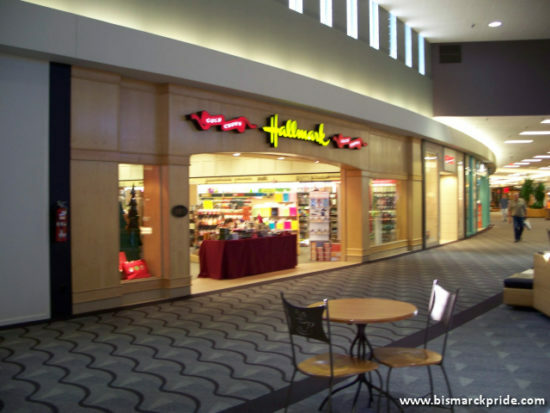 Kirkwood Mall also houses North Dakota’s only H&M. 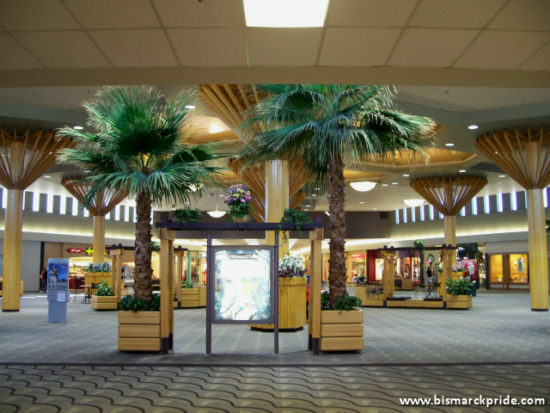 At nearly 850,000 square feet (some sources cite 913,000 square feet), Kirkwood Mall is the largest shopping center in central and western North Dakota, second in the state only to Fargo’s West Acres. 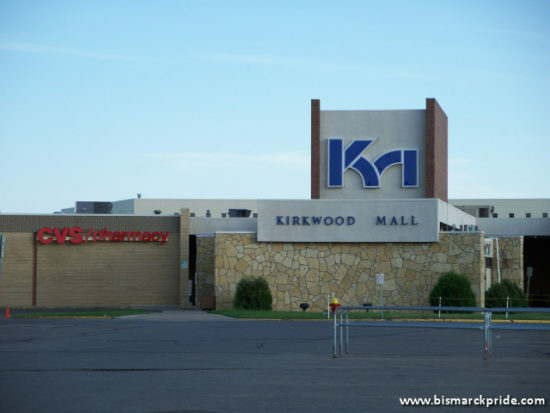 At an original size of 422,053 square feet, Kirkwood was the city’s single-largest development and the largest shopping center in North Dakota until West Acres opened the following year. 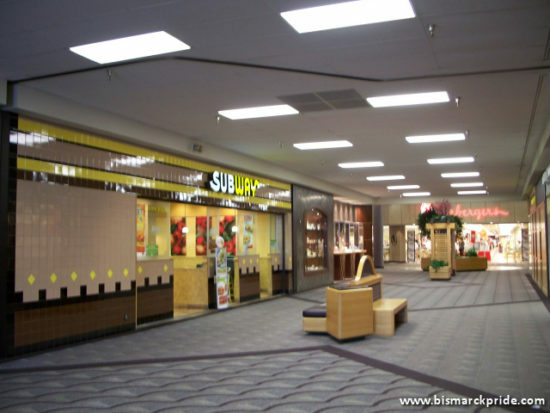 It was the city’s third shopping center, second of which fully enclosed, following Arrowhead Plaza and Northbrook Mall. While portions of Kirkwood Plaza opened in 1970, the mall was formerly dedicated in May 1971 with three anchors: Herberger’s, Woolworth’s, and Montgomery Ward. Osco Drug was a junior anchor and Kirkwood Supervalu an outlot. A major expansion concluded in 1980, roughly doubling its size while adding two new anchors: Target and J.C. Penney. Upon opening, Kirkwood Plaza replaced downtown Bismarck as the region’s predominant commerce center, a distinction it maintains today. In its aftermath, wide-spread development erupted nearby, showcasing a diverse mix of retail, restaurants, banking, housing, hotels, and other commercial interests. 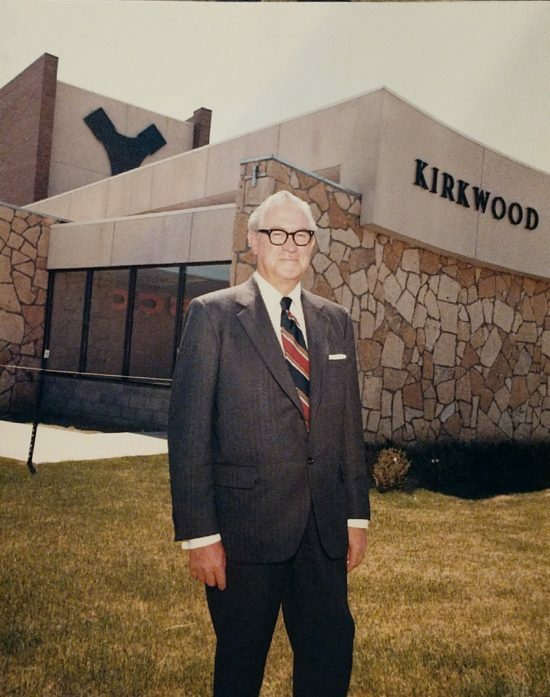 Kirkwood Mall is named for Robert Kirkwood, who once served as Chairman and CEO of F.W. Woolworth Company. Mr. Kirkwood had previously served as store manager for the Bismarck Woolworth store from 1932-1939. 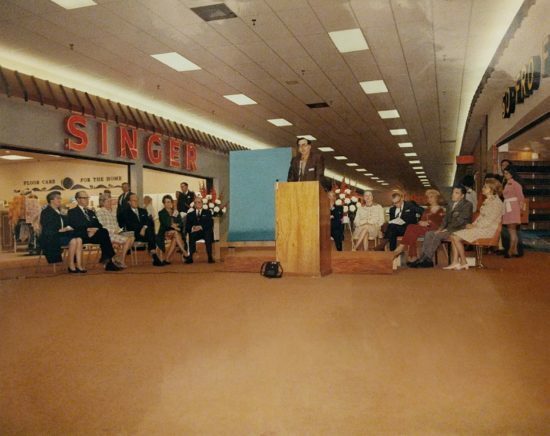 Grand Opening of Kirkwood Mall, 1971. Courtesy: Chad Wachter. 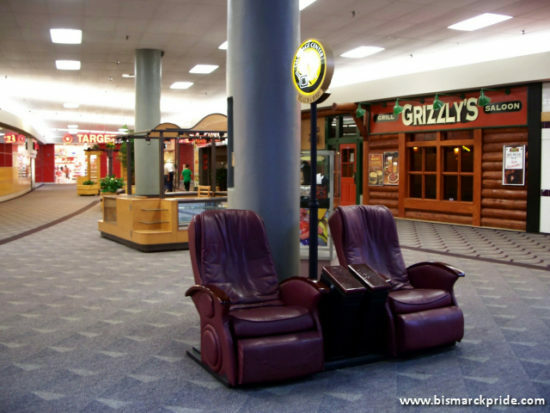 Kirkwood Plaza was conceived of and developed by Paul H. Wachter, who had been considering the idea for nearly a decade. The mall would occupy land the Wachters once used as a horse pasture for their successful Dray and Transfer Company. At the time, the Wachters owned much of the land south of Front Avenue in what was previously prone to wide-scale flooding until the completion of Garrison Dam in 1953. Little development had occurred in the vicinity before Kirkwood. Plans were announced in Septmeber 1968, with a formal ground breaking ceremony in November. Core building commenced the following spring. Its estimated cost of construction was $4 million. Original anchors, as announced, were Woolworth, Montgomery Ward, and Fargo-based Herbst. Kirkwood Supervalu would join in the mall’s outlot. 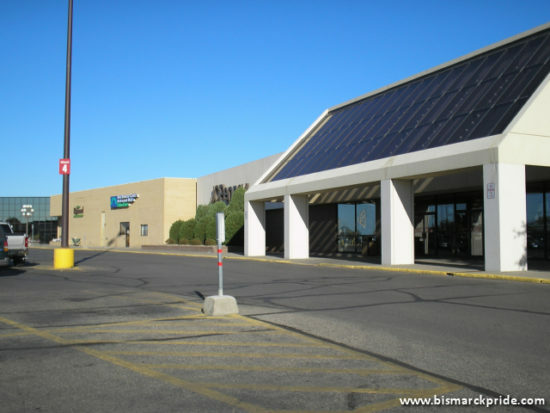 In addition to a two-screen theater operated by Midcontinent Theater, other major tenants announced included Osco Drug, Zale Jewelry, Baker Shoes, Vanity Shop, Buttrey’s, Fannie Farmer, Hatch’s Hallmark, House of Fabrics, Capital Laundry, State Bank of Burleigh County, K&G Menswear, Neumode Hosiery, and Kinney Shoes. In addition to the mall itself, original plans included a seven-story, 170-room Sheraton Hotel that would be directly connected by a covered walkway. While the Sheraton hotel was never developed, the Wachters later open Kirkwood Motor Inn across from the complex in 1974. The Y-shaped building was described as a three-point “pivotal configuration” without “weak” or “dead” corners. Woolworth was the first section of Kirkwood to be completed, opening on March 18, 1970. At 72,900 square feet, it was the largest single-floor Woolworth at the time and the second-largest nationwide in terms of display space. Soon after, stores opened at a rapid pace, beginning with the barbershop, beauty salon, and Zale Jewelry within a few weeks of Woolworth’s. Most stores opened between May and June, 1970. Of the anchors, the 101,000-square-foot Montgomery Ward store was the second to open, on September 23, 1970. 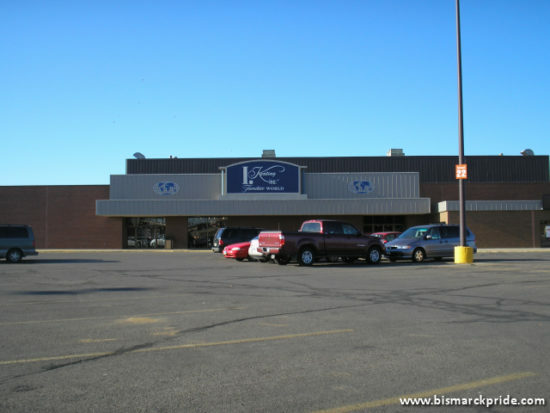 The Wards automotive center opened shortly before the main store itself. It was among the largest service centers in the region, boasting eight service bays. Plaza Twin, the state’s first multi-screen movie theater, opened in November 1970. The 65,000-square-foot Herberger’s, which replaced Herbst as the third and final anchor, followed on March 23, 1971. 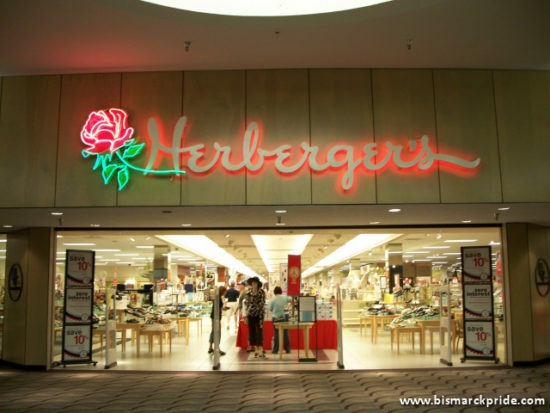 The Herberger’s store was the first to be located inside a shopping center and the chain’s largest store at the time. After the store’s resounding success, company officials of the time predicted that all future Herberger’s would only open inside shopping centers henceforth. Despite dropping as an original anchor, Herbst does occupy a store in Kirkwood Mall by August 1971 following its purchase of Black’s. It closes in 1981. Supporting stores opened at a rapid pace leading up to the mall’s official April 1971 debut. A grand opening celebration was held the following month, with namesake Robert Kirkood in attendance. In addition to the aforementioned anchors, Osco Drug was also an original tenant as a junior anchor. In 1977, Kirkwood announced plans for a $15 million expansion project, penned “Kirkwood II.” When completed in 1980, Kirkwood doubled its original footprint, adding more than 40 new stores with two additional anchors: J.C. Penney and market new-comer Target. Its movie theater also relocated and expanded to three screens, from two. Similar to its previous two-screen historic significance, Plaza III was North Dakota’s first three-screen theater. The expansion eliminated a portion of Arbor Avenue. 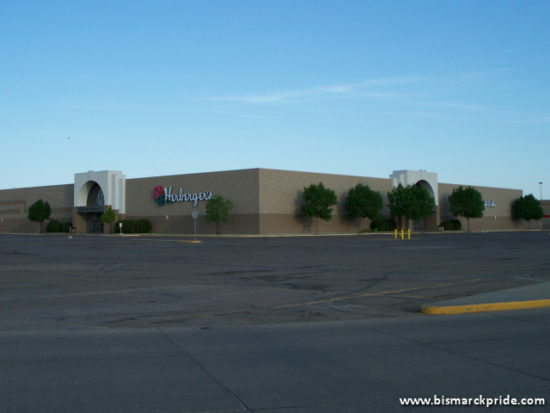 At the time of the announcement, it was expected that Kirkwood would become the largest shopping center between Minneapolis and the west coast, and as far south as Omaha, but Fargo’s West Acres completed an expansion in 1979, keeping its lead. 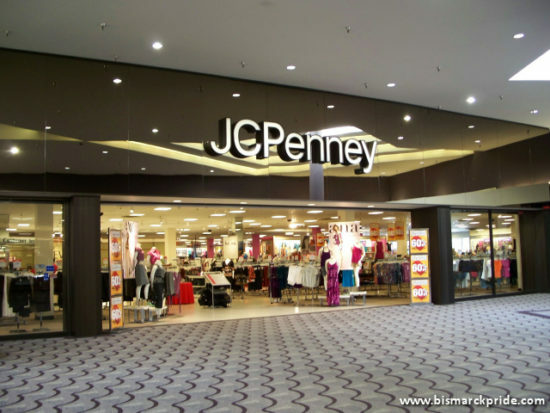 The new 106,000-square foot J.C. Penney store was roughly double that of its former downtown location when it opened in January 1980. At 80,000 square feet, the Target was slightly smaller than stores it already operated in Fargo and Grand Forks. Despite this, Dayton-Hudson anticipated its Bismarck store to surpass that of its other North Dakota stores. One reason for the smaller footprint was that the space was originally intended to house a Dayton’s department store, but its parent company re-evaluated its decision in February 1979 and slated Target’s opening. 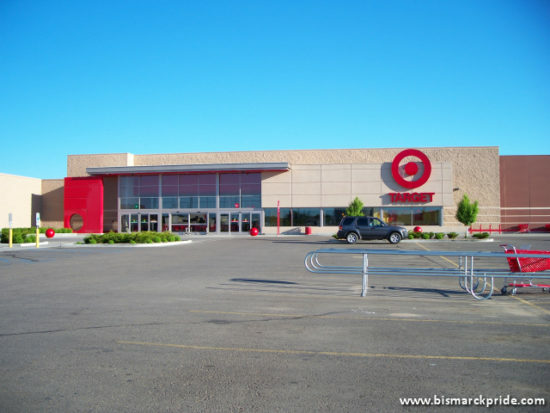 Local reception of the change was initially mixed, at best, with the common perception that Target was the “poor relative” of the iconic Dayton’s. It was the 27th Target to open, in November 1979. Direct access into the mall itself wasn’t completed until at least 1980. A Dayton’s did ultimately open at Kirkwood in 1985. Dayton-Hudson also operated a B. Dalton bookstore for years at Kirkwood. Kirkwood’s existing three anchor spaces were also expanded during the project, including 27,000 square feet for Woolworth’s and 2,600 for Wards. 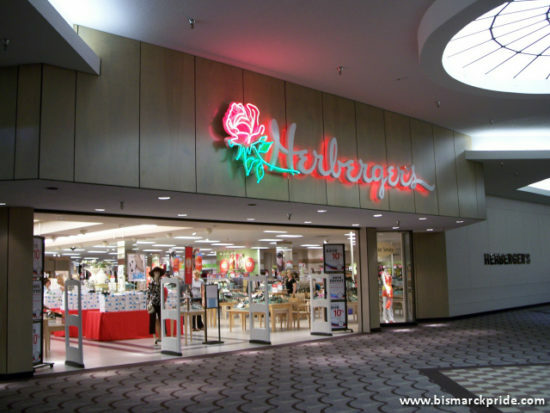 The expansion necessitated Herberger’s vacating 23,000 square feet of its original footprint. In turn, the entire anchor space was renovated and extended, resulting in a 15,000-square-foot net gain (original announcement cites 7,000). 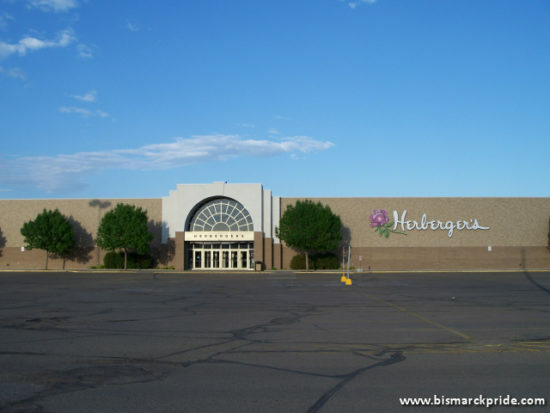 When completed in November 1979, it was once again the largest Herberger’s at the time. 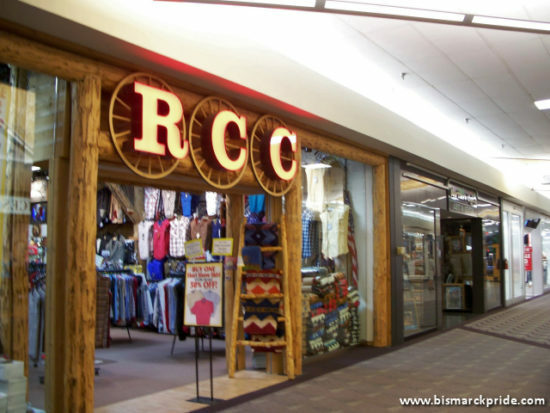 The store is remodeled again in 1985 and 1988 before adding another 30,000 square feet in 1993. A week-long Grand Opening and 9th Anniversary celebration was held for Kirkwood II was held in May 19-24, with a ribbon cutting on May 21, 1980. Other notable new tenants with the addition included Karmelkorn and Prairie Schooner. Also in 1980, Woolworth’s converted its Kirkwood store into Woolco – the chain’s discount department store division. It was the only Woolco to ever operate in North Dakota. Prudential Life Insurance acquired Kirkwood Mall in February 1981 for a reported $40 million, but the Wachters continued management and leasing of the center until 1984. Prairie Schooner, a restaurant opened by the Wachters and one of the original tenants of the Phase II, became the Italian-themed W.W. Noodles in 1984 before shuttering by the end of the year. Prudential Life sued the Wachters for breaking its lease upon closing W.W. Noodles. The suit sought $99,458 in unpaid back rent, plus $19,074 in additional rent and $7,104 per month after. Shades Nightclub operated in the space from 1986-1994. The city’s second McDonald’s was established next to Target on October 1, 1983. The 5,400-square-foot restaurant featured a seating capacity of 180, separated into three sections, including a 30-seat patio area with a French decorative theme within the mall itself and a children’s area to the rear. It closed in 2003. In 1984, Scheels established a 7,585-square-foot store at Kirkwood. It was the company’s 16th total location and its first “All Sports” location, with a focus exclusively on sporting goods. 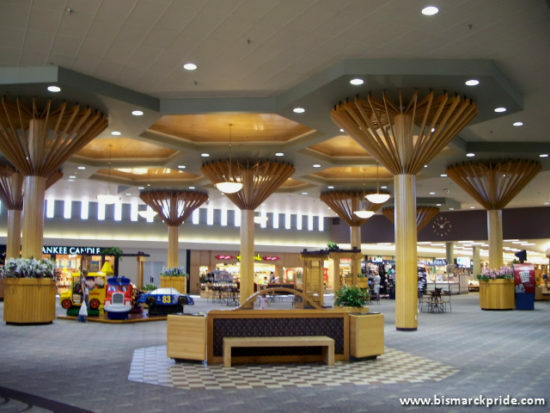 Scheels ran it conjointly with its Arrowhead Plaza store until selling its Arrowhead store in 1988. 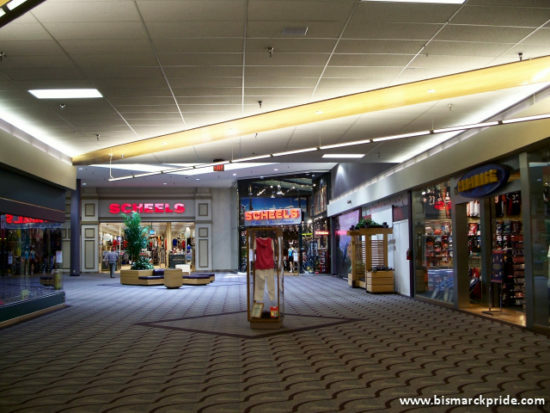 Between 1984-1995, Scheels expanded its store at least four times to 14,700 square feet. In 1995, it nearly doubled to 28,000 square feet by expanding into the former Shades Nightclub and Dakota Pets spaces. 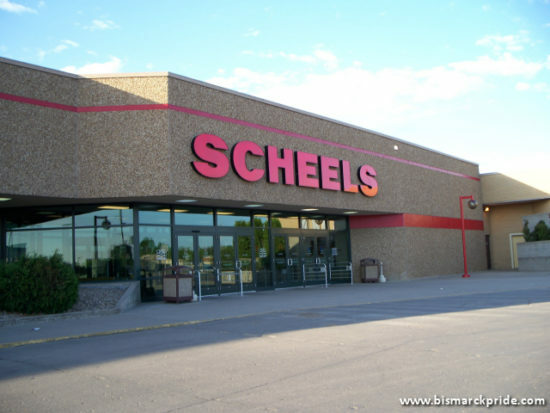 Scheels graduated into a junior anchor and was, at the time, the 6th largest store at Kirkwood, larger than Osco Drug and only smaller than the primary anchors. 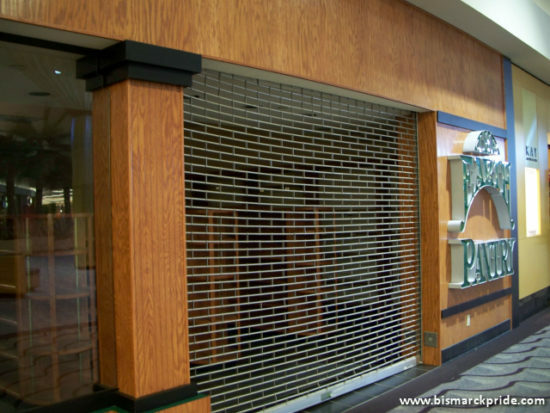 Scheels engulfed its neighboring tenants, including Sbarro and Karmelkorn, with store entrances facing two hallways and an exterior access. 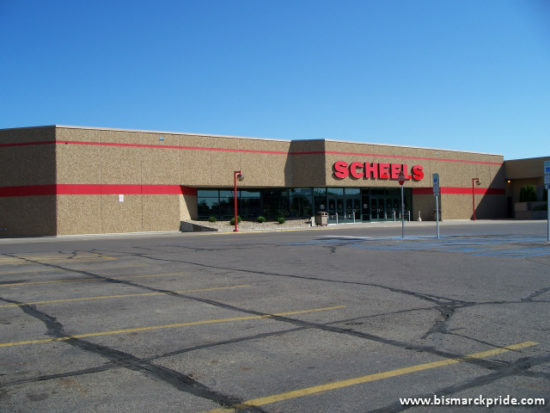 Scheels continued ongoing expansion henceforth, until encompassing most of the southwest wing by 2012. 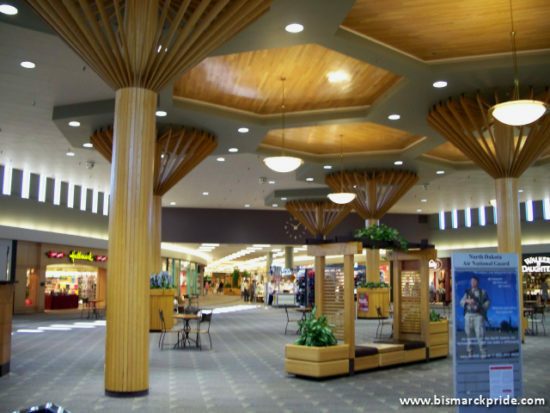 Kirkwood completed a million-dollar remodel in 1985. Plans for the upgrades were announced concurrently, in November 1984, with Dayton’s pending arrival. 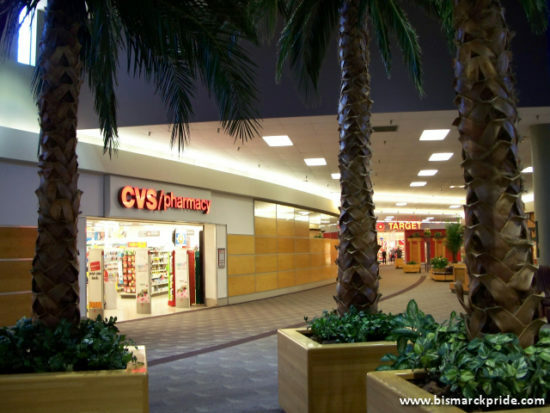 The improvements were largely cosmetic, including the palm tree poles still lining its atrium. Woolco – Kirkwood’s first store (as Woolworths) and whom’s namesake was former CEO – shuttered in 1983 when the entire 336-chain Woolco division was discontinued nationwide. The anchor space was replaced with Daytons in 1985, which went onto become Marshall Fields in 2001 prior to closing in 2005. 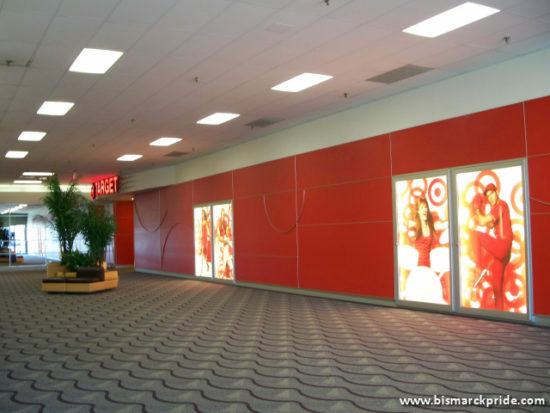 Soon after, the anchor space – the oldest completed section of the mall – was torn down to be replaced by a brand-new Target store. 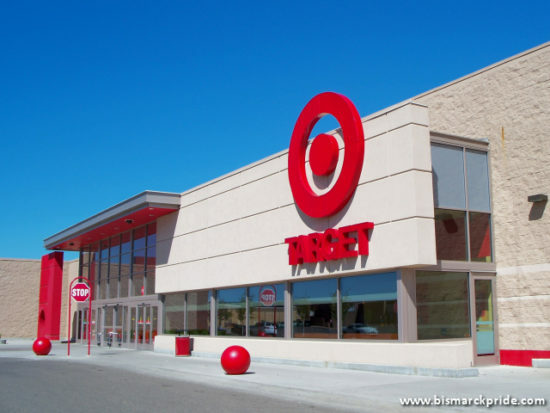 The new Target store, which opened October 2006, was 40,000 square feet larger than its preceding store. Initial rumors surface that it would be a 2-level Super Target, but this never materialized. 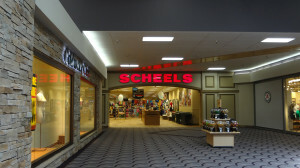 In June 2007, Scheels relocated into the adjacent 100,000-square foot former Target space, which was a significant increase from Scheels’ original 28,600 location within the mall. 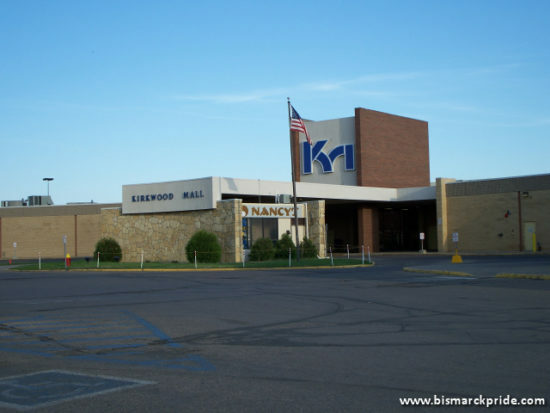 Kirkwood Mall joined three other North Dakota malls in implementing a smoking ban on May 1, 1993. The ban only includes the mall’s common areas. Individual tenants are permitted to voluntarily enforce the ban or not, with many restaurants continuing to allow smoking for years to come, including McDonald’s, Arby’s, and Grizzly’s. 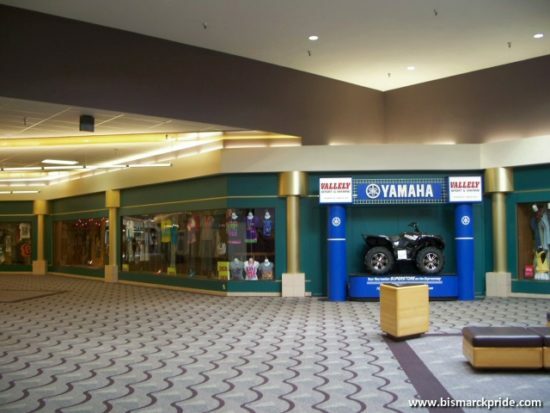 At the time, Gateway Mall had not yet decided on a ban. In late 1993, Target and Herbergers both commenced major additions. Target added 15,000 square feet to the north side of its store, while Herbergers extended its store 30,000 westward in preparation for consolidating its two Bismarck locations, in turn closing at Gateway Mall. The larger Herberger’s store boasted 92,500 square feet. 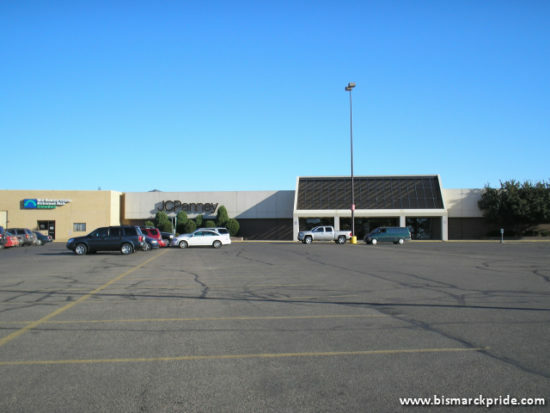 Kirkwood saw its first – and longest – anchor vacancy in its northwest corner when Montgomery Ward closed on May 2, 1999, in response to the company’s bankruptcy re-organization. The space sat mostly empty until 2003, when I. Keating Furniture World occupied the space. Plaza 3, the three-screen movie theater closed in 2001. McDonald’s and Fanny Farmer both departed in 2003. K-B Toys closed in 2004 and Wilson Leather in 2008, each as a result of their parent company’s nationwide closings. The departures of McDonald’s, K-B Toys, and Wilson’s left the once-vibrant wing nearly void, but poised for an upcoming Scheels expansion. Fortune Cookie opened inside a former record store in 2002. 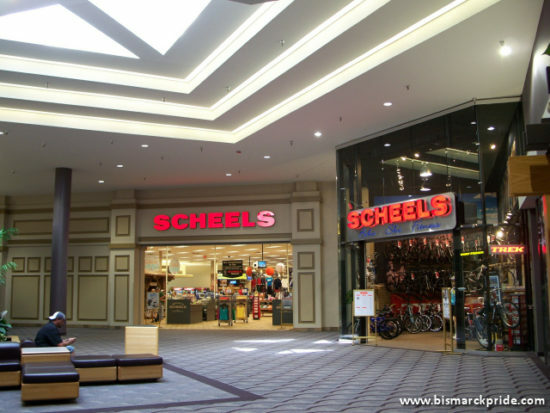 Scheels opened a bike store inside the former McDonald’s within months of the fast food restaurant’s departure. Pacific Sound briefly occupied the former K-B space in 2004. CVS/pharmacy, an original tenant (as Osco Drug), relocated into a new freestanding store located directly northwest of Kirkwood Mall in January 2010. For a short time, its junior anchor space was occupied by the ND Department of Transportation while its main facility, located on the Capitol Grounds, was renovated. Later, the space hosted Hot Spring Spas and Pool Tables for a short time. Today, the space is home to Shoe Dept. Encore. In 2012, Scheels greatly expanded its footprint, enveloping most of the southwest wing once home to Target, McDonald’s, Wilson’s Leather, and the original Scheels junior anchor. The result was the company’s largest single-floor location. 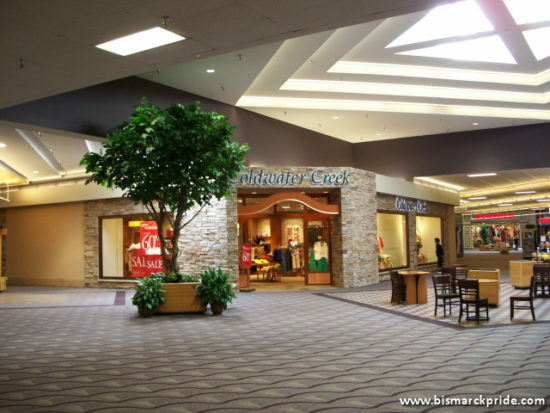 Beginning in 2014 with Coldwater Creek, and continuing into 2015 with Radioshack and Deb Shops, corporate bankruptcies saw the departure of several mall tenants. 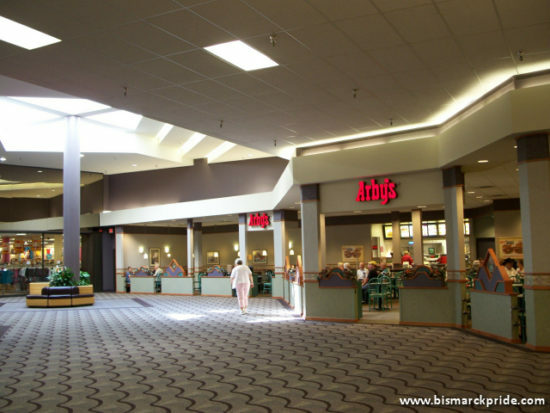 Arby’s, too, departed in 2015 after maintaining a presence at the mall since 1981 (most of which was at a different location near Herbergers). It was the first Arby’s in Bismarck. 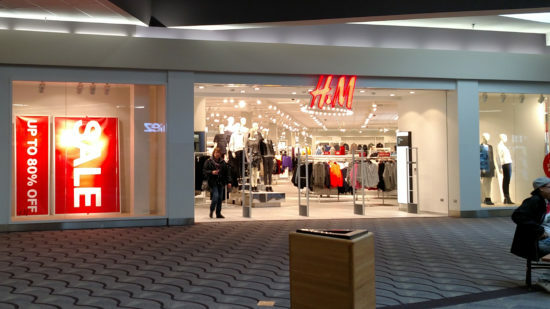 In 2016, major construction commenced to renovate an existing 22,000-square-foot section of the mall’s south side, between JCPenney and Scheels, to accommodate North Dakota’s first H&M store – a Swedish apparel retailer. The same year, the mall upgraded its exterior signage and parking lot. The outlots surrounding Kirkwood Mall have also seen several recent developments, including the opening of Bismarck’s first Panera Bread and Caribou Coffee locations. In 2018, Kirkwood announced a major renovation project that will upgrade its south entrance, restrooms, furniture, and common area flooring. Also in 2018, the parent of Herberger’s, Bon-Ton, announced nationwide liquidation. Herberger’s is expected to close no later than August 31st. 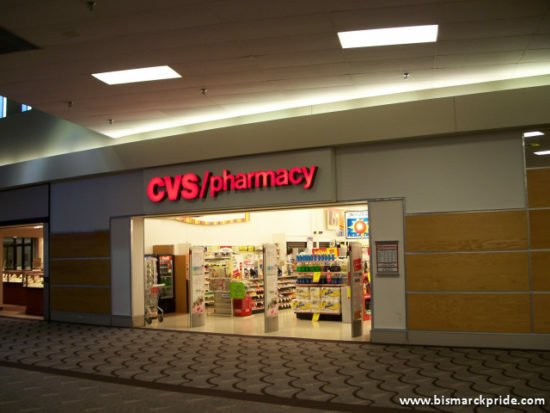 It will be the final departure of the original anchor stores. 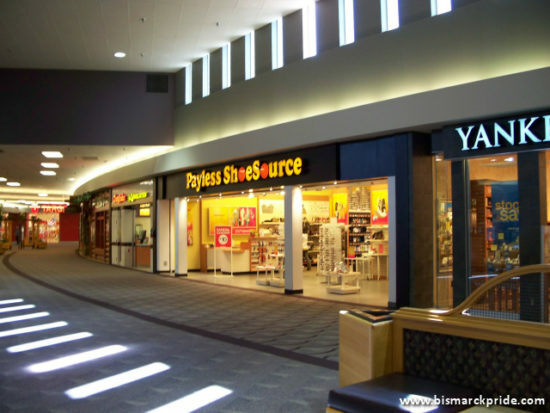 In 2019, Payless ShoeSource announced nationwide liquidation, including its existing store at Kirkwood Mall. Stores are expected to close between March and May. The discount shoe store’s first local location was at 412 E Bowen Avenue. 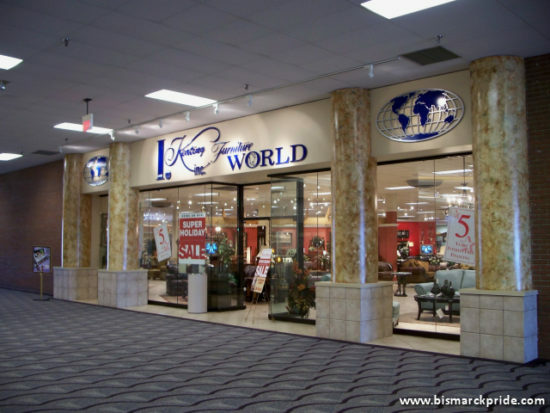 It first opened at Kirkwood in 1986, and also once had a location at Gateway Mall. The main entrance into Kirkwood Mall, located on the center’s north side. 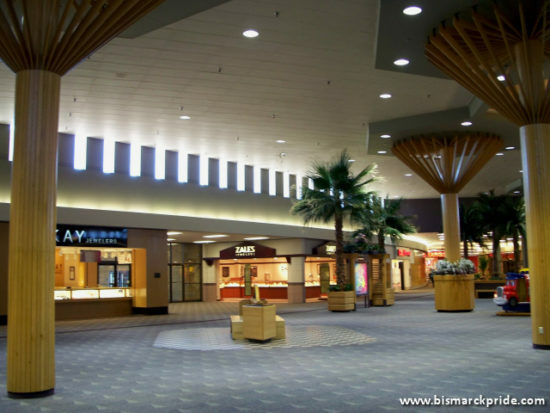 Kirkwood Mall drastically changed Bismarck’s retail landscape when it opened in April 1971.